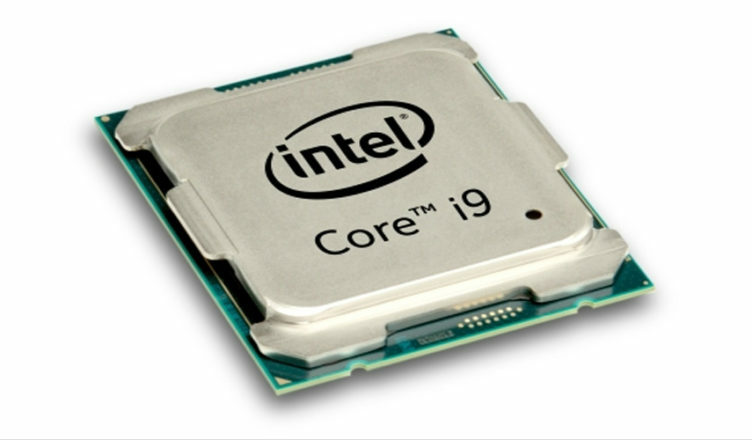 Intel is rumored to release its octa core i9-9900k in October with an all core turbo of 4.7 GHz, which is the fastest stock clock speed that has ever been offered on an eight core CPU on either the AMD Zen or Intel Core architectures. Intel's new mainstream flagship would be going head to head with AMD's Ryzen 2700X, which only has an all core boost of about 4 GHz. With such a high all core boost on so many cores, will Intel's 9900k be too hot to handle? Many rumors surrounding Intel's upcoming 8 core Coffee Lake CPU have circulated in the past few months, and the most recent one says that the i9-9900k 8 core flagship CPU will have an all core boost clock of 4.7 GHz, the highest on any Intel Core or AMD Zen based CPU. This rumor comes from PTT.cc, who leaked product information slides on both the 9900k as well as its brother the i7-9700k, which also has 8 cores but no Hyper Threading. The highlight of this leak has been the clock speeds of the 9900k, especially its 4.7 GHz all core boost. While the 9700k has respectable clock speeds with a 4.9 GHz single core turbo and a 4.6 GHz all core turbo, the 9900k turns up the clock speed to 11 with its 5 GHz two core turbo and an all core boost of 4.7 GHz. For reference, the 2700X can only muster 4.35 GHz on two cores and about 4 GHz on all cores, meaning the 9900k could be up to 18% faster just based on clock speeds alone. Two other interesting tidbits of information came with these leaked slides: the product codes and the release date, which is apparently October 26. Previously, some retailers accidentally listed AMD Ryzen products early and leaked their product codes, so this rumor might be able to be confirmed or disproven before launch. By the same token, if nothing happens on October 26, then this leak is likely false. These clock speeds aren't outside the realm of possibility for Intel. The i7-8700k, Intel's current 6 core mainstream CPU, has a single core boost of 4.7 GHz and an all core boost of 4.3 GHz. It's entirely possible that Intel could bump up the clock speeds by about 300-400 MHz on all clock stages. However, the real challenge comes with power consumption. Core i9 is infamous for being very power hungry and thus requiring a large cooler to dissipate all the heat. Intel has used its 95 watt TDP rating for both their quad core 7700k and their 6 core 8700k. Now, clock speeds and core count are being bumped up again without increasing the TDP envelope. Two big questions come to mind: can Intel keep the power consumption under control and will AMD counter the 9900k? Well, AMD SVP Jim Anderson has hinted at a 2800X that could run a little faster than 2700X. But it is very unlikely that we will see a hypothetical 2800X beat the rumored 4.7 GHz turbo of the 9900k, at least not at the 105 watt TDP the 2700X is rated for.